Tires and Co. was founded by Alexis Nerguisian in 2001. Alexis was an IT consultant who specialized in banking software and raced sports cars in his spare time. He got the idea for Tires and Co. when he noticed that his tires would melt after each race. Because he wanted a more affordable alternative to constantly having to go to the shop to get his tires replaced, he wanted to start a business that would let customers order tires online. During Tires and Co.’s first year, Alexis had a hard time perfecting the ins and outs of his business. But what started out as a small idea has now grown into a very successful company that sells hundreds of thousands of tires each year. What Can You Find at Tires and Co.? Tires and Co. prides itself on being able to predict customers’ needs and provide it to them. This is why they offer such a comprehensive list of products and services. In addition to different kinds of tires such as tires for cars, 4WDs, all-terrain vehicles, and trucks, Tires and Co. also offers tire fitting at over 150 partner garages in Canada, complete delivery services, and the lowest prices on the market. 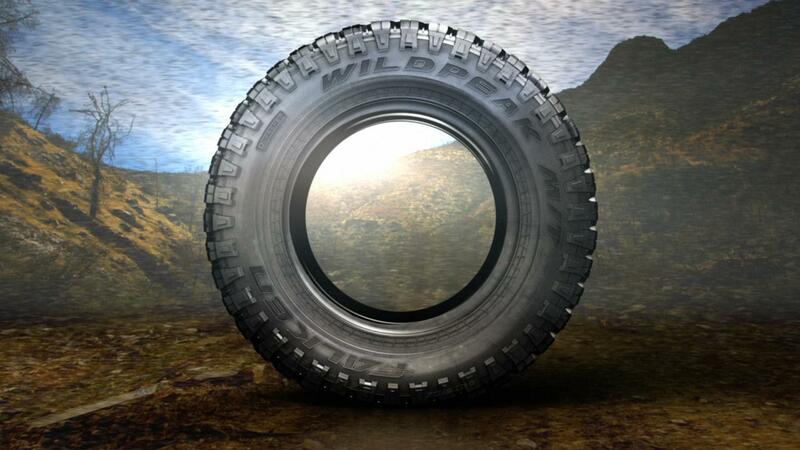 Tires and Co. carries brand new products from the world’s leading tire brands including Michelin, Goodyear, Uniroyal, Firestone, Dunlop, and more. To start shopping for new tires at Tires and Co., simply enter the width, height, and diameter you need in the search field on their website. Ways to Save at Tires and Co.
Our Dealhack team is tireless in providing you with the best Tires and Co. deals available online. In addition to the deals and coupons you can grab from this page, you can get even more savings when you join the Tires and Co. Loyalty Program. When you join, you can earn points whenever you make a purchase on their website. The points you earn are collected on your loyalty card and when you earn enough points, you can use those points to get big discounts on your order. You can also earn Tires and Co. coupons by referring your friends to their online store. We also recommend that you join the Tires and Co. mailing list so you never have to miss another deal again. If you have any questions or concerns, you can visit their help center to find answers. If you require further assistance, you can get in touch with Tires and Co. by calling 1-613-699-8849. Sign up to receive email updates from Tires and Co. to get notified whenever there are new deals, special offers, new product arrivals, and more. Join Tires and Co.’s Loyalty Program to earn points each time you make a purchase on their website. The points you collect are stored on your Tires and Co. Loyalty Card and can be redeemed for store credit that you can use towards your future purchases. Tires and Co. offers great discounts for referring your friends! With their referral program, you can invite your friends to make purchases at Tires and Co., and every successful referral gives you a coupon that you can use to take a few dollars of your future orders. The friends you refer also get discounts on their very first orders. Check out the technical tire tips on Tires and Co.’s website to learn more about taking care of your tires. They have helpful resources such as how to read tire markings, tips on changing tires, how to prepare your tires for winter, how to store your tires properly, information on speed, load, and grip, and so much more. What is Today's Best Tires & Co. Canada Coupon? Currently, the best Tires & Co. Canada coupon is 'Get up to $200 Coupons with Friend Referral Program'. There is no code required to claim this offer. Tires and Co. ships their items to most provinces in Canada including Quebec, Ontario, New Brunswick, Prince Edward Island, and Nova Scotia. Shipping charges are calculated based on your exact location and the total number of tires ordered. If you would like assistance installing your new tires, you can arrange to have your tires shipped to one of Tires and Co.’s partner installers. If you are not completely satisfied with your new tires, you can contact Tires and Co. within 14 business days from the date of delivery to arrange a return. Tires that have already been installed can no longer be returned so make sure you check your new tires carefully before installing them.